The delivery of six haul truck trays this week through Port of Mackay has been hailed as an example of the benefits recent upgrades there are bringing for the manufacturing, mining and transport sectors. 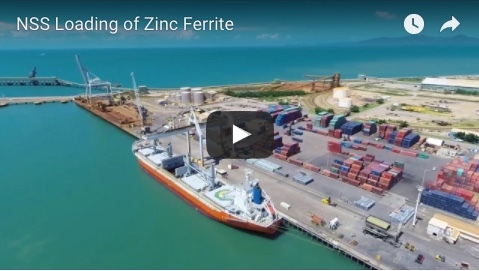 North Queensland Bulk Ports Corporation (NQBP) had been actively pursuing growth by working with customers to maximise trade opportunities and upgrading facilities, acting general manager trade and operations Eddie Mallan said. 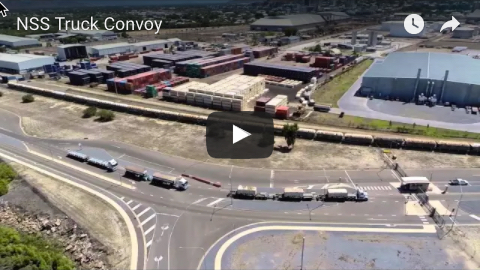 “NQBP worked with National Heavy Haulage for a number of months to facilitate this trade through the Port of Mackay to minimise transport costs for the project,” Mr Mallan said. Mr Mallan said the construction and commissioning of the quarantine wash facility at Mackay de-risked the delivery into the country as a first port of call. “The quarantine wash facility coupled with the shorter haul distance and available laydown space for project cargo makes the Port of Mackay a more attractive option for proponents,” Mr Mallan said. National Heavy Haulage general manager Ian Scott said upgraded facilities at the Port of Mackay had been good for increased business. “We look forward to future shipments and continued increase in break bulk through the port and out to the mining community,” he said. The six haul truck trays delivered this week were bound for BMA’s Saraji mine in the Bowen Basin. build two in its Mackay workshop within the eight-week time schedule. Sales and support manager Scott Harding said for the first time in 20 years of manufacturing and designing dump truck bodies in Mackay they had to ship some in to meet demand. “Business has definitely picked up and they needed them quickly,” he said.